With Donald Trump’s presidency, climate change in America is swiftly being placed on the back burner and will soon be out of the door. Trump has dubbed climate change as a hoax created by the Chinese government to make US manufacturing non-competitive. He tapped Myron Ebell to oversee the transition of the Environment Protection Agency (EPA) and instructed him to create a new mandate that rolls back the extensive environmental platform created by the Obama administration. Myron Ebell is not a scientist and does not believe in scientific facts endorsed by climate scientists. He talks glibly about the benefits of climate change and rightly earned the “climate criminal” tag from Greenpeace. He intends to destroy the US Clean Power Plan and all the other environmental measures put in place over the past eight years. He proposes to open up federal lands for logging and carbon extraction – oil, gas, coal – and rejects the Paris climate change accord. Conservation is not part of his vocabulary, so it is in the cards that the XL pipeline will be built, federal parks will end up drastically diminished, offshore drilling permits will be abundant while conservation measures are dumped world- wide. “New Planet, New World” is a powerful novel which explores an alternative to the destructive path civilisation is presently on. The intricacy of many themes keeps the reader engaged with brilliant writing that is exciting, tender, engaging and thoughtful. The underlying message is the fostering of love as the basic philosophy for the future. Most arresting is the fiery rant by Dr. Tom Hagen at the UN in 2080 addressing the stubborn refusal of governments and corporations immersed in the oil/carbon complex to take heed. The relationship between Catriona and Rising Moon is particularly moving. We observe two young women from different worlds coming together to create a haven for young people, placing their safety above ego fostering. Through these characters, we consider how any two nations can apply similar principles while civilisation still has the chance. The battle with jihadists is riveting and difficult to bear, but even here compassion prevails. This futuristic novel combines science with Pope Francis’ Encyclical and strong warnings regarding the disregard by carbon cabal leaders. Tolstoy’s assertion of love as the basis for proper living pulsates as an undercurrent throughout each chapter. Dr. Prattis succeeds in offering us a gift of hope in troubled times via the presentation of a new way of living based on ecology, respect and compassion. “New Planet, New World” not only is one of the most important books of 2016; it is a wake-up call for all of humanity. Ian Prattis’ writing moves me… a visionary sent from God to our troubled world. Global citizens are staring into the abyss–yet instead of being eaten up by it all, I say to them: “Awaken Spiritually,” for that transforms everything. We have made our world an unpredictable beast because we fail to work with it intelligently. Rumi’s wise words are cogent: “Sit down and be quiet. You are drunk and this is the edge of the roof.” We have to take back control of ourselves and this is a spiritual matter. Turning on the switch of awakening seems to be a good idea right now. We just need to touch the sacred in ordinary experiences of life to find the courage and determination to transform. I am writing Trailing Sky Six Feathers to shed light on issues that will affect our world for generations to come. The example of my own challenging journey and personal transformation illuminates a path for others to expand their consciousness and chart the course for a future beyond the abyss. The human race does not need to be stuck with maladaptive options and patterns. We can and must transform. The key to change this deep freeze is Awakening, a spiritual relationship with self and Mother Earth. The next inevitable question is – Who would be interested in this work? I reply that there are four audiences. I like to consider Trailing Sky Six Feathers the real life version of James Redfield’s best-selling fictional book The Celestine Prophecy. I have nine chapters, loaded with Insights and adventure. Trailing Sky Six Feathers is drawn from my actual lived experience. Reality based information is in high demand in today’s society, which provides the potential for this project to become a fresh, new icon for today’s hungry culture. Hungry, that is, for authentic transformation. Trailing Sky Six Feathers delivers a vigorous message about personal transformation in order to become different stewards of the earth and society. Extensive shamanic training is highlighted, as it was the instrument to overcome my childhood sexual abuse. The journey of remembering childhood wounds and past lives will draw in people searching for interior solutions. In Trailing Sky Six Feathers I show that we can transform the damage and limitations of the past and step onto a path of enlightenment for all who suffer from road blocks in the mind. People around the world are overwhelmed by distraction, fear, suffering and violence – all of which keeps them frozen in a state of inaction – deeply wounded and unable to make changes within themselves and for the planet. The inner journey that occupies this book demonstrates that we do not have to be caught by our suffering, fear and maladaptive responses to Global Warming and Violence. We can take steady steps with wise mentors to break free of the chains and liberate ourselves. The book will also attract the attention of people interested in Shamanism, Jung, Religion, New Age, Alternative Medicine, Meditation, Consciousness, Buddhism, India, Native American Culture and Wisdom of the Elders. The Sky People who mentored Trailing Sky in medicine lore will certainly pique the interest of Trekkies, given this extra-terrestrial component of the book. Ever since the Star Trek series captured the public imagination with time/space crossovers – there is an intense interest in how past realms and dimensions impact our present reality. That is the very fabric of Trailing Sky Six Feathers and it will appeal to the large Trekkie population who may be surprised that the adventure can happen without science fiction. In Chapter Six: Rainbow Bridge Calling, I spend time exploring maps of Central Arizona to acquaint myself with the region’s ambience. 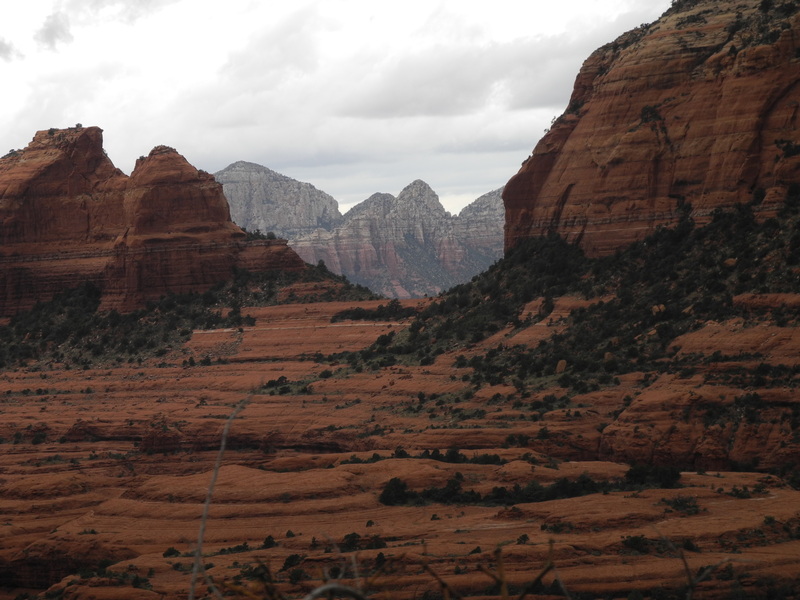 I saw that Oak Creek ran through the Red Rock country of Sedona like a thread – drawing the canyons together. My exploration began with this Water element. This was one component of the Five Great Elements in Buddhist, Taoist and Native American belief – Earth, Water, Air, Fire and Space. I understood the sequence as the correspondence of all things to each other driven by the feminine vessel of enlightenment. I have always thought of the present millennium as the century of the daughters. Not so much as a gender separate thing, but as attributes of a holistic, nurturing presence of mind. The feminine principle is the creator of all matter including the five elements and ourselves. This is why I began my exploration of the region with Water. Oak Creek was fed by spring water from the sacred canyons and she carried their unique energies in one stream. The foundation of the book is the feminine principle with a strong, powerful female character whose task is that of tutoring male stubbornness to surrender to the Muse. This book will be sought out by men who acknowledge the feminine principle as a staple foundation of their masculinity. The story of my resistance, then final surrender, to The Muse will strike a chord within most men and provide encouragement for their persistent engagement with the internal feminine. Feminists will applaud and readily endorse such a book. The strong characters in the book are all women and the book revolves around the difficulties for men of engaging with the internal feminine principle. The testosterone ended drive of modern society raises the prospect of our species going over the cliff into the abyss. Trailing Sky Six Feathers moves the pendulum the other way to create a balance. In Chapter Seven: The Compass Changes, my point was that in every mind there is a Failsafe that would activate when matters grew so bad that moving to a new mindset would be inevitable. I argued that the notion of innate earth wisdom, when combined with tipping points in the mind and counter culture, would be sufficient to change our collective mentality in the direction of better earth stewardship and a new spiritual paradigm. On the flip side, I am very aware of the cascading collapse of the world’s eco-systems. That our overpopulated, technologically based civilization may not adapt to a fast changing future without wrecking the environment. If we wreck the environment we are toast. I knew to look for the means to shift our mind set. I replaced the question: “Can we fix the planet?” with a deeper question: “How do we fix ourselves?” I recognized that the modern era transition from “Reverential” to “Referential” with respect to the earth had to be reversed, pointing out that our technical and economic institutions were outstripping our basic humanity. Planetary care is woven into this book in both the 18th and 21st centuries. The Wisdom of the Elders about the spiritual connection of humans with the Earth Mother provides the template for renewal in the first three chapters. That template is taken into the 21st century with my activism for planetary care through the Friends for Peace organization I established and write about in later chapters. This consistent address of environmental issues directly appeals to the growing environmental movement that Global Warming and Climate Change has catalyzed in the 21st century. 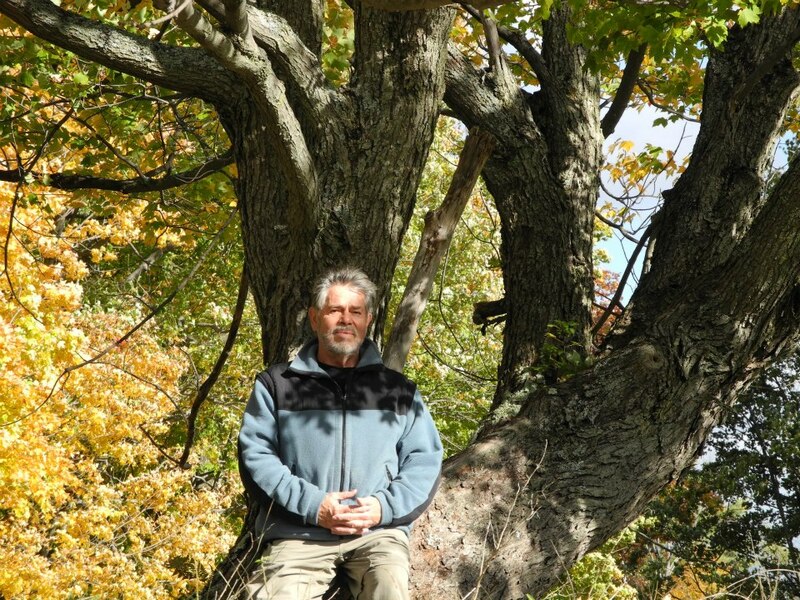 Also in Chapter Seven: The Compass Changes, I write about my last ecology class before retiring from Carleton University in 2007. Students encouraged me to get belligerent about Climate Change and its consequences. I enlisted their brilliance and diligence with a collective focus on eco-communities – from rural communities to urban condos – and promised to get testy. This adventure into the pre-conditions for eco-communities, however, had a much bigger intent. It reflected the particular shift in mindset required to salvage the global ecosystem for human habitation. Wherever we are located on the planet – it is essential to conduct ourselves as being part of a global eco-community. Our mindset has to be focused on the reality of living as one component of Gaia’s ecosystem. An edited collection emerged from the enthusiasm, insights and sheer hard work of these students. This mentoring exercise with brilliant ecology students produced an excellent volume, which contributed to the 2011 Earth Day Environmental Award I received at the Canadian Museum of Civilization. The highlight for me, however, was not the award. It was that the majority of students in this class chose to work as environmentalists in different sectors of the Canadian economy. They cared as much as I did and that was deeply fulfilling. Young people just need to be presented with an opportunity for a way forward and the bell to step up. This book provides both. I can guarantee that Generation X and Y will respond. Allow me, dear reader, to introduce a Tale of Three books, which highlights a radical change in my writing. I had been invited to speak at St. John’s Church in Richmond, Ontario by Reverend Michel Dubord who takes an interest in my writings. One of his Christmas Eve sermons featured my book Failsafe. As usual, I was snoozing in one of the back pews when my brother-in-law Kenny dug his elbow into my side to wake me up and whispered hoarsely in my ear that Rev. Michel was talking about my book Failsafe: Saving The Earth From Ourselves. Indeed he was – particularly about tipping points in the mind. Only he took it much further by concluding that the birth of Jesus was a tipping point into awakening. What a brilliant leap on his part. Richmond is a delightful village on the outskirts of Ottawa. It is where my wife Carolyn grew up. Her mother Joan and sister Eleanor still live there. My theme was global, a talk on Environment and Awakening. It was about awareness of environmental crises leading to change in consciousness then to preventive action. The reality though, is that while citizens around the world are aware, they are overwhelmed by distraction, suffering and violence – all of which keeps them frozen in a state of inaction. The key to change this deep freeze is Awakening, a spiritual relationship with self and Mother Earth. The tale of my three books: Failsafe – Saving The Earth From Ourselves; Earth My Body Water My Blood and Song of Silence takes us to the center of what is required. Several years ago at the beginning of spring after a severe winter in Canada, I participated in a sweat lodge ceremony with respected elders from the Ojibway, Dene and Mohawk First Nations. A senior elder called for this ceremony as he felt a severe disconnect between humanity and the Earth. I felt privileged to be included. It took place in a remote part of Ontario and we camped close to the newly constructed inipi, specially built for this sweat lodge ceremony. Inside the lodge the prayers offered were very moving. We made deeply personal and collective commitments to serve the Earth Mother, to do all that we could to heal her and ourselves. At the end of the final round of the ceremony we emerged into the pristine beauty of a late snowfall under a clear star studded sky. 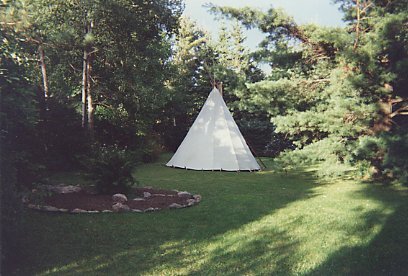 There had been a two-inch snowfall while the sweat lodge was in progress. We walked barefoot in silence to where we were camping. Quiet smiles, not thinking too much. My smile grew immense when looking back at our footprints in the snow. I gestured to my companions to stop and look. Words were not appropriate. We all smiled with the same recognition and looked at one another with new eyes. It was as though these were the first footprints witnessed on Mother Earth, an epiphany that strengthened our commitment and resolve. Business as usual was no longer possible for us. Share the epiphany, as it is no longer possible for you either, dear reader. My book Failsafe was born from that moment. 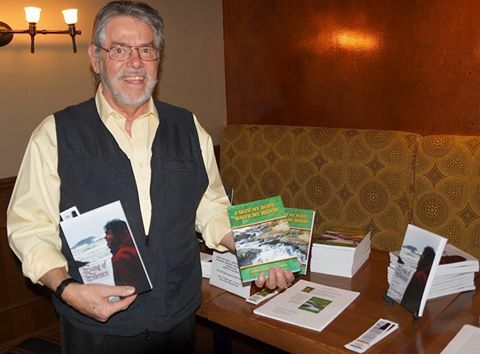 David Suzuki endorsed it and wrote the foreword, aboriginal leaders delighted in the advocacy. My point was that in every mind there is a Failsafe that would activate when matters grew so bad that moving to a new mindset would be inevitable. I argued that the notion of innate earth wisdom, when combined with tipping points in the mind and counter culture, would be sufficient to change our collective mentality in the direction of better earth stewardship and a new economic paradigm. On the flip side, I was very aware of the cascading collapse of the world’s eco-systems and that our overpopulated, technologically based civilization may not adapt to a fast changing future without wrecking the environment. If we wreck the environment we are toast. I knew to look for the means to shift our mind set. I replaced the question: “Can we fix the planet?” with a deeper question: “How do we fix ourselves?” I recognized that the modern era transition from “Reverential” to “Referential” with respect to the earth had to be reversed, pointing out how our technical and economic institutions were outstripping our basic humanity. I even pondered on whether homo sapiens may be a failed genetic experiment. In my last ecology class before retiring from Carleton University in 2007, my students insisted that I get more testy and belligerent about global issues. I enlisted their brilliance and diligence to do exactly that, with a collective focus on eco-communities. We studied this issue from rural communities to urban condos – and I did get belligerent, including a George Carlin inspired riff on “Entitlement” while severely holding political and corporate leaders to account. This adventure with my students reflected the particular shift in mindset required to salvage the global ecosystem for human habitation. Wherever we are located on the planet – we considered it essential to conduct ourselves as being part of a global eco-community. Whether we live in a rural or urban locale, in the industrial or developing worlds, work in a factory, office building, farm or retail outlet, our mindset has to be focused on the reality of living as one component of Gaia’s ecosystem. 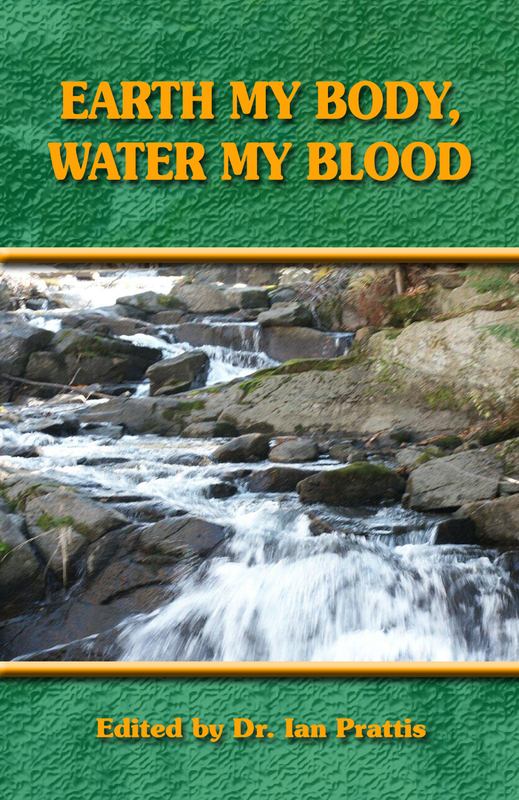 An edited collection – Earth My Body, Water My Blood – emerged from the enthusiasm, insights and sheer hard work of these students. The book was organized around the five great elements – Earth, Water, Air, Fire and Space – which represent the Universe in Buddhist, Native American and Taoist traditions. The sequence describes the principle of interconnectedness and provided the metaphor to organize the volume, as the five great elements taken together are inherent in all aspects of life. They are much more than their physical appearance, as they mirror the inner reality of an interconnected human consciousness. The driving force from the inner dimension is the feminine representation of awakening. The feminine principle is the creator of all matter and things, including the five elements and also ourselves. The external forms of the five elements in the environment have the same factors as the internal presence. So our global pollution, the endangerment of all species – including our own – is a direct reflection of what we have allowed our consciousness to become. I wrote the bridging chapters for each of the Five Great Elements from the level of testiness required by my students. 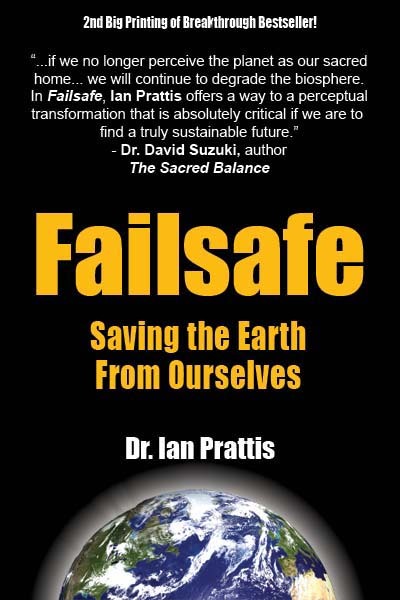 This volume of essays was the continuation of Failsafe: Saving The Earth From Ourselves, which investigated the necessity of changing the mindset of humanity in order to combat the Global Ecological Emergency. Earth My Body, Water My Blood provided a detailed investigation of how to do this by establishing the pre-conditions for eco-communities to function. The collection described the mindset required to maintain an eco-niche for our species and covered the waterfront to ensure the successful establishment of an eco-community. The student teams knew the bigger picture and developed an antidote. If only we can get it right – and get it right now! They were very aware of reining in our ego and greed-driven minds to permit the cultivation of different patterns. Our shared excitement was that consciousness expansion could no longer be held back because a radical internal Climate Change would have emerged in humankind. And so – our innate knowledge becomes manifest. We interconnect with a vast counter culture that is no longer a minority, no longer asleep or disempowered. We become another light shining in the quiet revolution that has over two million organizations worldwide pursuing constructive change. The best case scenario that we all agreed upon is this – our diligent mindfulness changes our brain structures in the direction that brings new paradigms of behavior into form. As cells in the ecosystem of Gaia, humanity aligns its neuronal networks with principles of ecosystem balance, ethics and responsibility. The critical mass has arrived and it amounts to a collective tipping point for our species. Clarity and compassion are suddenly there to provide the basis for how we can be with the planet and with one another in a totally new way. That was our collective intention with this piece of work, summed up by their phrase “Bring It On, Now!” This mentoring exercise with brilliant ecology students produced an excellent volume, which contributed to the 2011 Earth Day Environmental Award I received at the Canadian Museum of Civilization. The highlight for me, however, was not the award. It was that the majority of students in this class chose to work as environmentalists in different sectors of the Canadian economy. They cared as much as I did and that was deeply fulfilling. Allow me to relate a story told by a Metis raconteur. What is the best that you can do dear reader? What is the best that I can be? What is the best that our political and corporate leaders can do? For the latter to emerge requires that we hold our leaders to account, and citizen activism on an unprecedented scale is necessary for that. This is essential for the younger generation just coming into maturity and responsibility. My generation has not left a healthy and viable planet. I offer a humble apology to them for that neglect. I ask of my generation of environmentalists, activists and organizers that they transfer their skills and knowledge to the younger generation. To be mentors for the generation that has to do the heavy lifting to put things right on planet earth. I will not be around to see the changes. Yet I do possess a modicum of confidence. I feel that the younger generation will modify the “Yes We Can” mantra that got Barack Obama into the White House. In twenty years my hope is that the mantra will have been changed to “Yes We Did” with respect to Mother Earth. When I look at young people, I see beyond the ipods, electronic gadgetry and attitude to the deep intelligence that yearns for something better. I love their in-your-face attitude, as that is the energy of determination that will drive them to put things into balance on the planet. They are not caught so readily by the identities and trade-offs that my generation is so good at entertaining. They are breaking down the barriers of discrimination, storming the barricades of separation. I have only one thing to ask of them. That they slow down for a moment and hold out their hand. For as long as I have a spark in this mind and breath in this body I say to them – Wait for me, because I am going with you. The Hummingbird story brings home that something else is necessary for us to redress the global ecological emergency. We have made our world an unpredictable beast because we fail to work with it intelligently. That means the future is sacrificed while we occupy an ecosystem of distraction technologies. Distracted people do not realize they are in danger. Rumi’s wise words are cogent: “Sit down and be quiet. You are drunk and this is the edge of the roof.” But political and corporate agendas had forced humanity off the edge of the roof to occupy an ecosystem of distraction technologies. Citizens around the world do not realize they are in such dreadful danger. Somehow we have to take back control of ourselves and this is a spiritual matter. Turning on the switch of awakening seems to be a good idea right now. Spiritual Awakening must factor into the humanity – earth equation, yet there is so much in the way. The fear and suffering felt globally prevents people from taking action, as they are frozen and trapped by their particular circumstances. People feel dwarfed by the senseless carnage, violence and collapse of all systems – financial and ecological. Distractions also prevent us from waking up, as we just do not want to think about what is happening. We can, however, become awakened consumers and hold both politics and corporations to account. We just need to touch the sacred in ordinary experiences of life to find the courage and determination to do so. This is the initial step into Awakening. 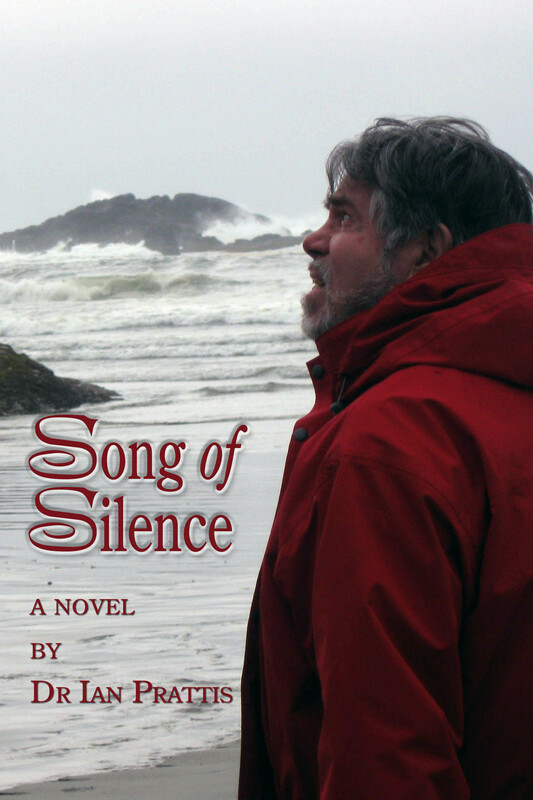 And so I come to the last book in this trilogy – Song of Silence – a novel I first wrote in 1975. It was soon forgotten, as way back then I really did not know how to get published. The manuscript was rediscovered by accident in 2011. I found it in an old filing cabinet where it was gathering dust. I read it through and could scarce believe it was such a good read. I requested my wife and a couple of friends with critical eyes to read it through, just in case I was dreaming. Modern technology enabled the yellowing typed manuscript to be transformed into a computer ready document. Though it required attention to spelling and typos with small additions from a writer’s eye some forty years later – it stands pristine as when first written. My wife thought it was tremendous, one friend could not put it down and mused about the film to be made, the other friend cried through most of it. All of which encouraged me to bring “Song of Silence” to life. The story is an allegory for the life difficulties I experienced at that time – 40 years ago. The surprise for me was how could I have written such a book while in a desperate state of mind? I was a real mess – with a failing marriage in the Hebrides, Scotland and trying to keep a career going at Carleton University in Canada. I was not doing a good job with either. This novel is set in The Hebrides, islands off the northwest coast of Scotland, with startling cycles of maturing and downfall of the main character Callum Mor – a gifted child, master mariner, derelict drunk – who eventually gains wisdom from a hard life’s journey. He enters the dark zone of alcoholism and withdraws from society. With only his animals keeping him this side of sanity he survives in a bleak solitude. Until a family with a small girl seeking refuge from a storm come to his house. Slowly he edges away from his self-destruction. He saves the girl’s life in a blizzard. At this point a glimmer of awakening dawns in him and this sets the stage for the final drama that illuminates the resilience of the human spirit. Laced with grim humor, the story has nature’s harsh and beautiful rhapsody as the background for tragic human failings. It applies universally to human suffering in a chaotic world and the triumph of human decency provides redemption rather than staring into the abyss. Awakening transforms everything. Looking at this book 40 years later, I noticed a contemporary theme. Global citizens are in fact staring into the abyss – nuclear, economic, environment, violence, abuse – yet instead of being eaten up by it all, I say to you – Awaken Spiritually – for that transforms everything. I concluded my talk by reading a passage from the book (Pgs 134 – 137) that describes Callum Mor’s awakening and how it transformed everything.